30-second ads go live on Instagram! Now brands can produce in an ad timeframe they’re more comfortable with. (Let’s hope it doesn’t just result in rehashed TV ads all over our socnets.) In other updates, they’ll also be able to use Instagram’s new landscape format for photos and videos. Other features soon to come: delivery and optimization tools to better reach users on Insta and Facebook, and a product called Marquee that will “drive mass awareness and expanded reach in a short time-frame—perfect for events like movie premieres and new product launches.” Fox is the first brand to launch a Marquee campaign, which you can check out below. Per COO Sheryl Sandberg, over 45 million small businesses use Facebook Pages, which are growing at a rate of 1 million per month. That’s a lot of hawkin’ wares. The new socnet on the block catches up fast. Facebook hit 4 billion daily video views in April, many months after launching its native video feature; in contrast, Snapchat doubled its daily views in just three months. However, the platform didn’t reveal how many seconds make a video view (Facebook counts a view after three seconds; YouTube, after 30). Brands be wary: Stats from Snapchat sponsors (shown below) reveal that 70% of users stop watching a video ad after three seconds. “When marketers think they are buying a 10-second ad, they really have to get their message out in two seconds,” a top exec said. Ads are also skippable… so make those three seconds count! Periscope now lets users broadcast and watch streams in landscape mode—meaning you no longer have to watch a landscape-filmed video sideways. Notably, Periscope is among the first iOS apps to join Apple TV’s spankin’ new App Store, so you can enjoy live broadcasts from a much larger screen. It also released the ability to post a live broadcast or replay onto Facebook (if you’re logged into your Facebook account from the iOS Settings app), as well as an updated “share indication,” which now tells you who shared a given stream. If you’re looking for clever ways to use Periscope, draw inspiration from how Purina used cat video popularity to create a two-day Cat Camp—of course, duly Periscoped. You probably already know that you probably shouldn’t address a B2B audience in the same way you would a B2C one. So to help orient you when you’re creating content for both, or adapting B2C content to a B2B audience, HubSpot’s broken down a few key differences that may require you to tweak your approach. To start with, messaging intent will be different, so B2B content creators should bear in mind the importance of building thought leadership. B2C content creators, on the other hand, should consider goals like establishing cost-effectiveness or exclusivity. If you want more, check out this rigorous guide to do-it-yourself content marketing. It turns out that trending Subreddits, or topical communities on Reddit, can reveal a lot about the hivemind. Consider /r/Showerthoughts. Ann Smarty’s compiled four super-handy tools that will help you mine Reddit for its trending gold, whether you’re looking for ways to ease into the community or you simply need a pulse on what the social Web’s chatting about right now. Reddit Metrics obviously comes out on top; it breaks Subreddits down by fastest-growing, top new Reddits, and trending non-default Subreddits (the ones that new users aren’t subscribed to by default). /r/explainlikeimfive, where people ask how things work in hopes of getting a clear and simple explanation (like they’re five), may prove especially handy for a product or service provider. 6. How are brands using facial-recognition technology? There’s so much new tech coming out that it’s hard to get a handle on how it can be applicable to you. That’s especially true for facial recognition technology, which may require the kick-start of a few useful examples of practical applications. So here are five campaigns that incorporate it intelligently. One example: Agency Redpepper launched Facedeals, which memorizes the faces of users who’ve granted the app access to their Facebook accounts. Thereafter, bars, stores, and restaurants with Facedeal cameras installed can “recognize” users and send coupons to their phones, based on their social media activity. Why check in with your thumb when you can do it with your face? 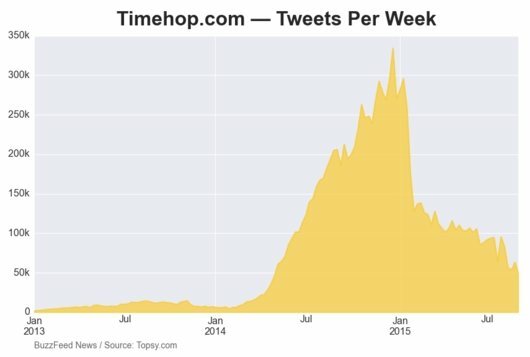 Inspired by the sudden shutdown of social app Secret, Buzzfeed’s come up with a clever way to measure “social decay,” or the death knells of apps that may need to throw in the towel (or reinvent themselves entirely), by tracking how the number of tweets linking to an app changed over time. Otherwise, if the social decay theory is right, we’re in for sad news: Timehop, an app that shows people what they were doing this time at some point in the past, has seriously declined from early 2015. It probably doesn’t help that Facebook introduced a similar feature, On This Day, in March. Prepare your good-byes. 8. 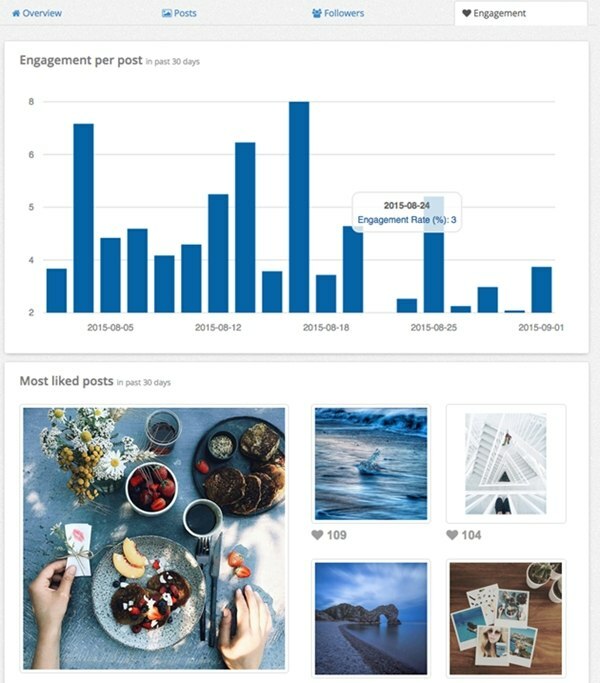 Need Instagram influencers? Say hello to Brandnew IO! Brandnew IO, a brand influencer program for Instagram, has launched its iOS app, which lets influencers negotiate campaign deals, decide what time is best to post, measure engagement, monitor competitors, and learn more about followers. Those with 50,000 followers or more are also privy to new campaign briefs and offers—which means brands can easily gather participatory interest from influencers who already have a strong community. The app also includes the ability to get reminders for posting and payment dates (on the influencer side). Brands get a brand-new analytics tool that lets them measure engagement and activity, and track insights. So if you’re looking to do some influencer marketing on Instagram, this isn’t a bad first stop. 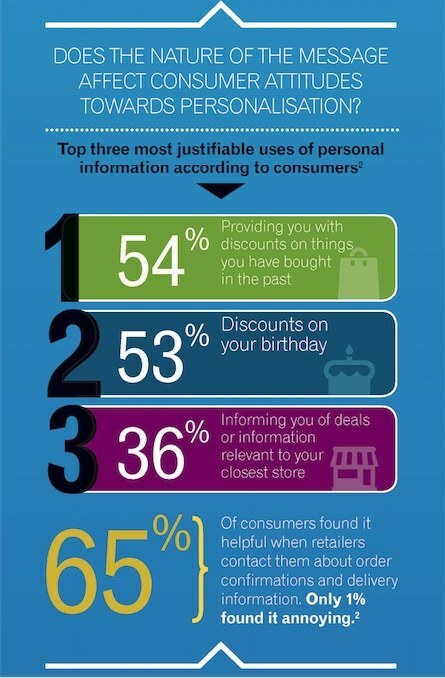 Econsultancy.com does a weekly roundup of digital marketing stats (and the studies they come from), so you never have to miss a strategy-altering factoid like the one above from Experian Marketing Services. Here’s another fun one: Only 10% of brands closely match marketing activities to the consumer journey. If you’re one of them, now you know how to get ahead of the curve! Everyone on social has friends who constantly post blue-sky images from their lives that make all their followers feel terrible about their own. One Oregon-based wedding photographer paired this phenomenon with the power of Barbie, arguably the packaged queen of “having it all.” We give you Instagram account socalitybarbie, which features Barbie (and pals) in gorgeously-shot poses, outfitted with humble-braggy captions and piles of hashtags—all the hallmarks of that friend you love to hate. We love how the work takes a recognizable product and uses it to highlight a common sticking point of social media: It isn’t quite bad behavior to share your happiest moments with others, but people tend to like it more when all those tousled-hair beach photos are peppered with more relatable realities. That goes as much for brands as it does for real humans. Have fun out there.